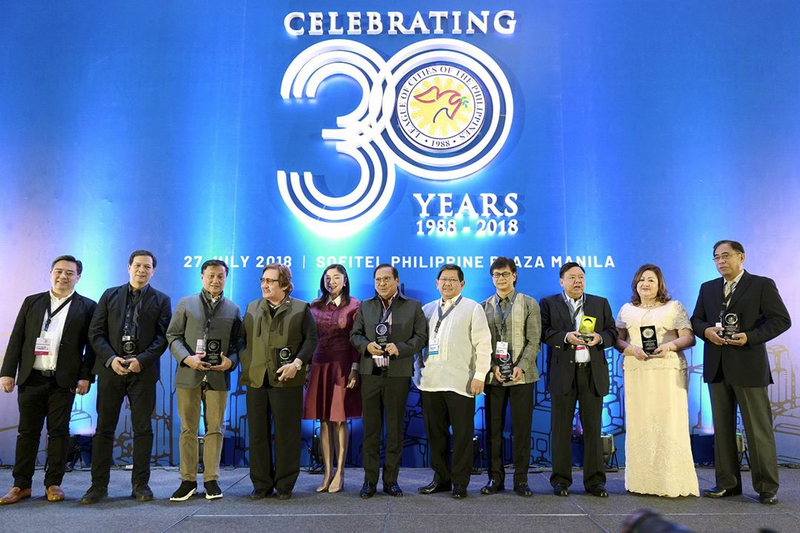 PASAY CITY – City mayors celebrated the League of Cities of the Philippines' (LCP) 30th founding anniversary by paying tribute to the organization's long-time development partners and honoring its past leaders on July 27, 2018 at the Sofitel Philippine Plaza Manila. With the theme, “Stronger Together at 30,” the event was the first time that the League commemorated its storied history since it was officially established on June 7, 1988. Three major activities were organized to underscore the League's efforts of promoting the welfare and strengthening the capacities of its member cities through the years: the 66th LCP General Assembly, LCP Partners Forum, and the LCP 30th Anniversary Gala Dinner. Hosted by LCP Regional Representative for NCR and Pasay City Mayor Antonino Calixto, the 66th LCP General Assembly provided updates on the League’s current programs and policy efforts and saw the adoption of the resolution declaring the 7th of June 1988 as the official founding date of the LCP and the month of June as the Philippine Cities month. 4th International River Summit by Carlo Fortuna, Mandaue City Vice Mayor and Summit Director of the 4th International River Summit. Two important partnerships were also forged during the assembly via the signing of memoranda of agreement with development organizations from the health sector. LCP's newly minted partnership with UNAIDS aims to localize and fast-track the response to HIV/AIDS by encouraging cities to mobilize resources and take concrete actions towards controlling the epidemic in cities. Meanwhile, the League's partnership with the Philippine College of Surgeons aims to create a coordinated strategy for both parties in the conduct of surgical missions in cities in the country. An exhibition of development agencies and sponsors called LCP Partners Forum concurrently took place during the assembly. In consonance with the current LCP leadership's plan of exploring partnerships and building collaborative networks for its member cities, the forum allowed city mayors to directly interact with partners for potential projects and partnerships. 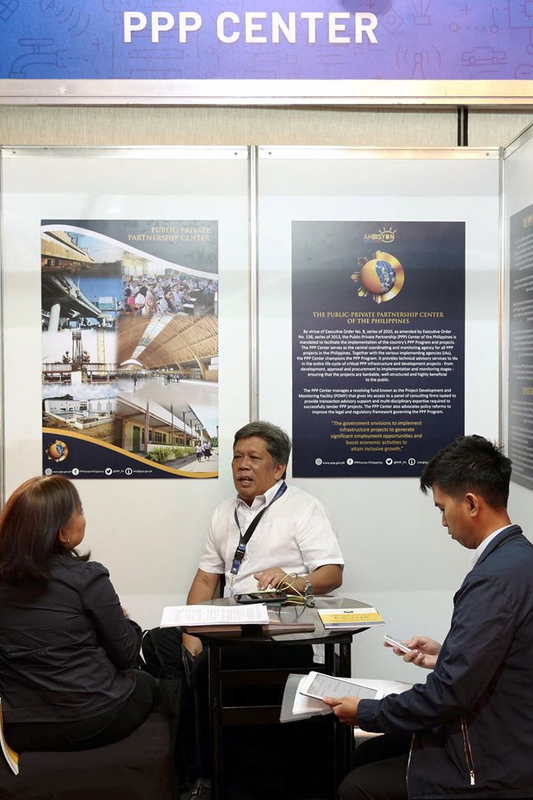 Exhibitors during the forum included development partners such as the Climate Change Commission, DICT, ICLEI Southeast Asia, UNIDO, PPP Center, Teach for the Philippines, UNAIDS, UN-Habitat, and UNIDO. Sponsors such as Converge, Microdata, Pag-IBIG Fund, and Brightscity Solutions were also given the opportunity to showcase their products and services before city mayors and LGU representatives at the exhibition. After the LCP General Assembly, city mayors convened once again for the League's anniversary gala dinner. Representatives from foreign embassies, as well as heads of national government agencies and development organizations that have supported the LCP in the previous years also attended the historic occasion. In her welcome message, LCP National Chairperson and Taguig City Mayor Lani Cayetano underscored the value of the League to its mayors. “What cities are beginning to realize is that there is value in being part of an association such as LCP. The learning curve for innovation in local governance is so steep that we need LCP to help us make informed decisions. Essentially, we want to know what works and will not work given our context, our limited resources, and available manpower,” she said. 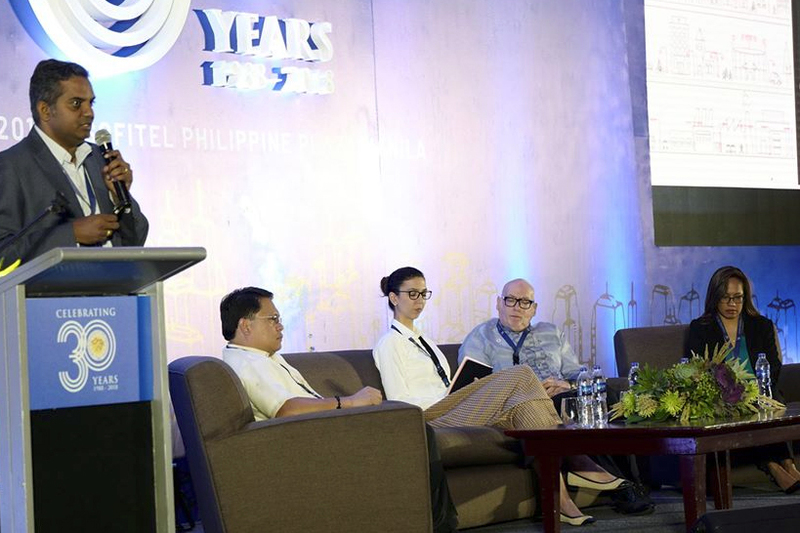 On the other hand, LCP National President and Angeles City Mayor Ed Pamintuan emphasized in his address the significance that cities play in the country's development strategies. “Central Luzon, where my city, Angeles City belongs, has recorded a gross domestic product of 9.3 percent last year, higher than the national average of about 7 percent. This means that if we pour more resources to the regions, the more that they impact on national development goals. Which is precisely the raison d'etre of LCP,” he said. DILG Undersecretary Austere Panadero delivered the keynote address on behalf of President Rodrigo Duterte. 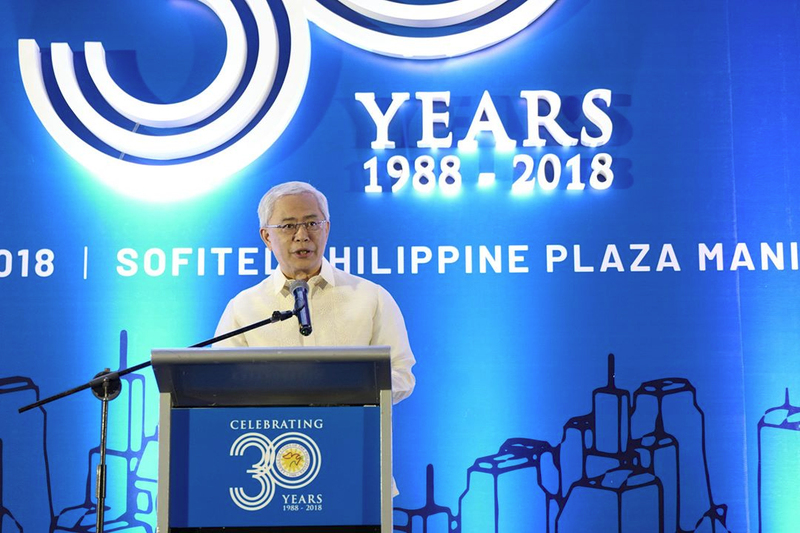 In his message, the President sought the support of local governments as his administration rolls out a number of programs related to economic and social development. “Join me in my advocacy of implementing genuine reforms in governance. 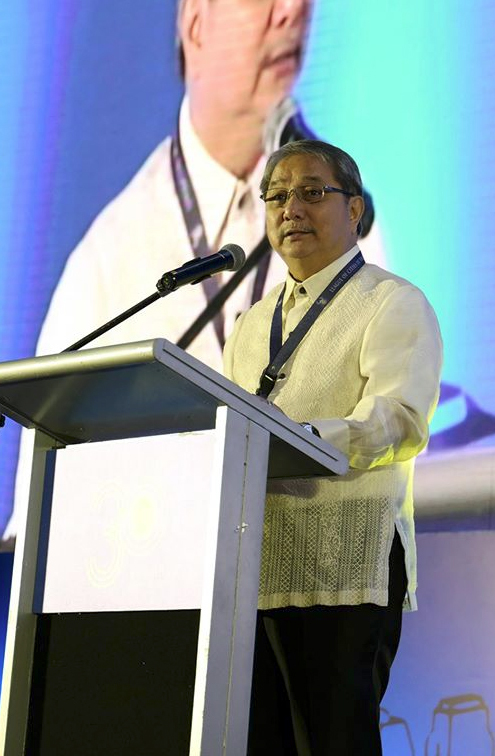 Let us keep in mind that if we are to completely restore our people's trust in their government, we need to start implementing reforms at the local level,” he said. Guests at the event saw the recognition of former chairpersons and presidents of the League since its establishment in 1988. Among those who personally received the LCP Leadership Award were Brigido Simon, Jr., President from 1988 - 1992; Edward Hagedorn, President from 1998 - 2001 and Chairperson from 2004 - 2007; Cong. Jerry Treñas, President from 2004 - 2007 and Chairperson from 2007 - 2010; Benjamin Abalos, Jr., President from 2007 - 2010; and Francis Tolentino, President from 2001 - 2004. The event was also an opportunity to recognize employees of the LCP Secretariat who have been working with the League for more than 10 years. Recipients of the LCP Employee Service Award include Ma. Veronica Hitosis; Ariel Padilla; Ray Paduano; Roberto Bandin, Jr.; Felisa Deogracias; and Roman Llanera, Jr.